Charlotte Gastro is excited to be the presenting sponsor, along with Novant Health, for the Colon Cancer Coalition’s Get Your Rear in Gear Charlotte 5K run/walk. This year’s event will be taking place at Independence Park on March 5. Registration begins at 7:00 am. All funds raised during the event stay in the local community and provide life-saving colorectal cancer screenings. Please join us by clicking HERE. 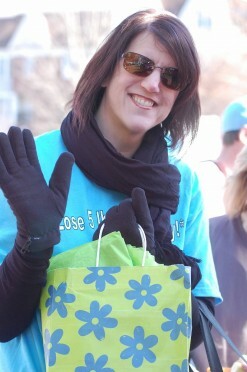 Team CGH will be participating this year in honor and in memory of our beloved Kim Holt. Kim was Charlotte Gastro’s endoscopy center manager who recently lost a courageous battle with colorectal cancer. She will be missed as a dedicated staff member, friend, family member, and supporter of GYRIG.